Pad stitching is awesome. It’s fantastic. It’s often replaced with fusible interfacings and spray-glue products, and that’s a darn shame. Because pad stitching is pretty nifty. 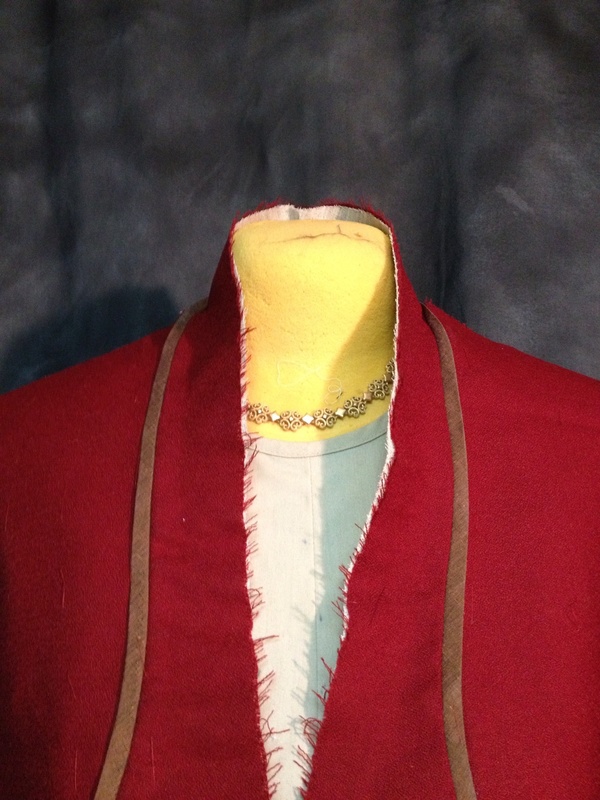 It’s used to bond an infrastructure layer (traditionally hair canvas in tailoring) to the layer it’s stiffening (often the under-collar). And the great thing is, it provides MORE STRUCTURAL GLORY than the original infrastructure product can on its own. Beat that with a stick! I am doing a knot less, no-tail start-off. (Sounds official, doesn’t it? I totally made this up, but I would be shocked out of my socks if It isn’t centuries old.) 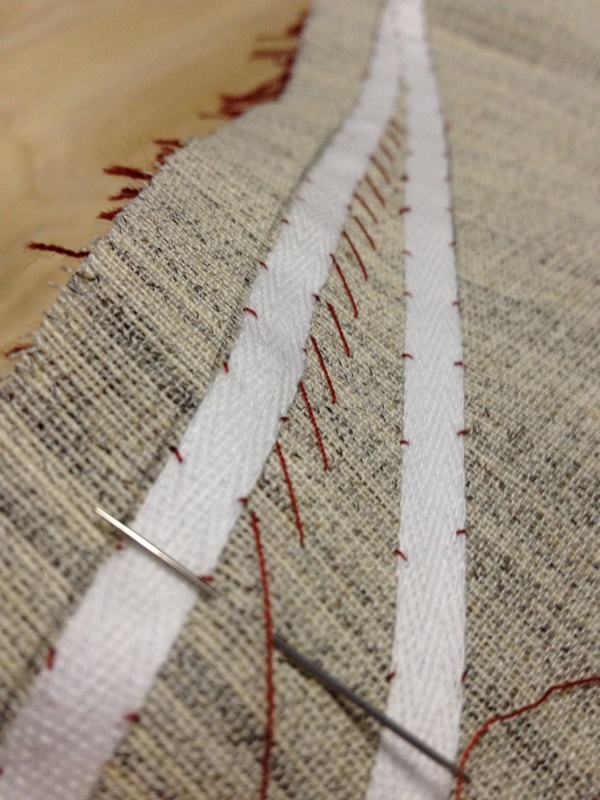 Start with a long stitch between your two layers…. 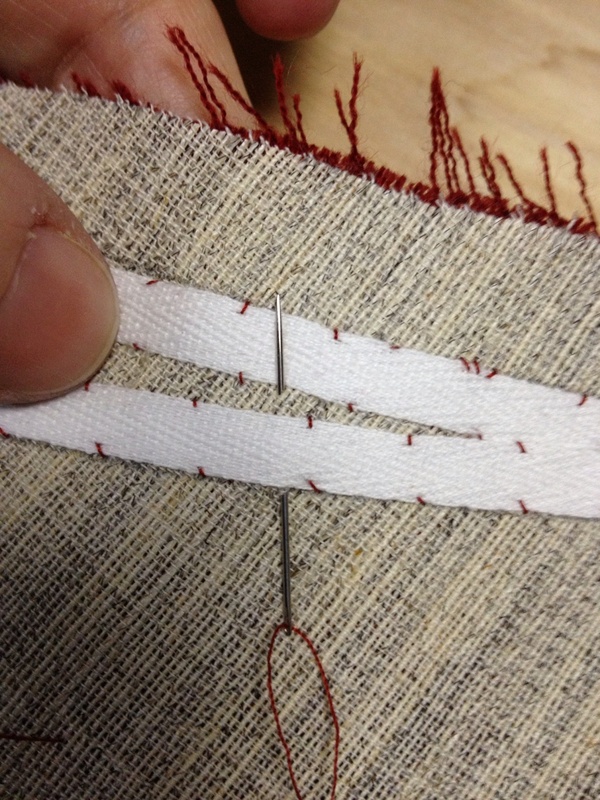 Pull your first stitch through just until the tail is lost between the layers. Now take a second stitch around a single thread. 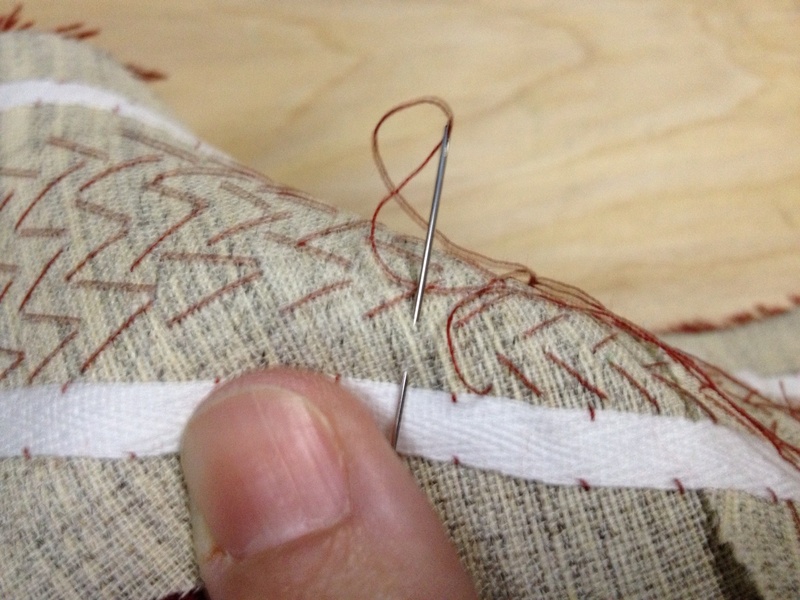 I usually take two or three of these single thread stitches to secure my starting. Incidentally, we are doing this to avoid the little lump a knot can leave. You’ll feel it in the finished work. And it will grate on your ever last nerve every time you notice it. And that is no good, because grating is for cheeses, not nerves. So we do this instead. 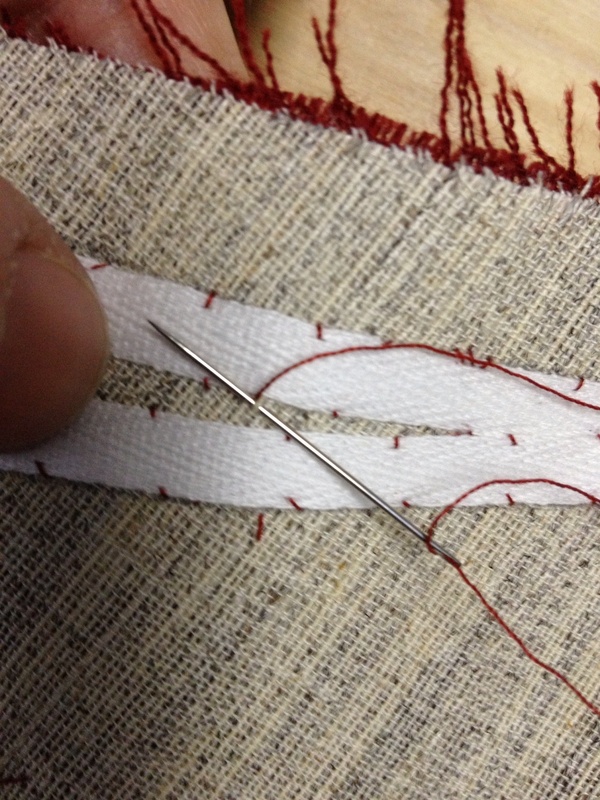 Your first real pad stitch finishes like this – take a stitch, maybe a quarter inch long and an eighth inch wide, then bring the needle up parallel to the start of the stitch. You should not nevah-evah see this much needle on the right side of the work. 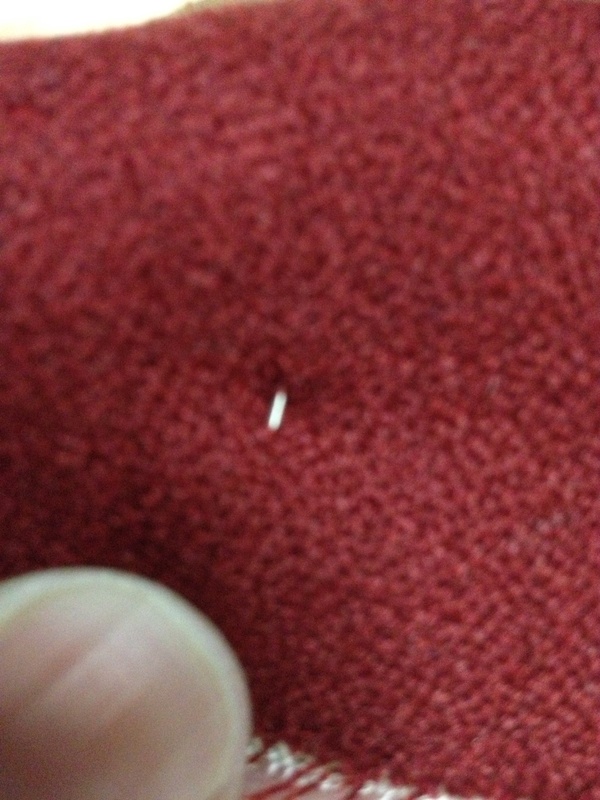 This much needle is bad. 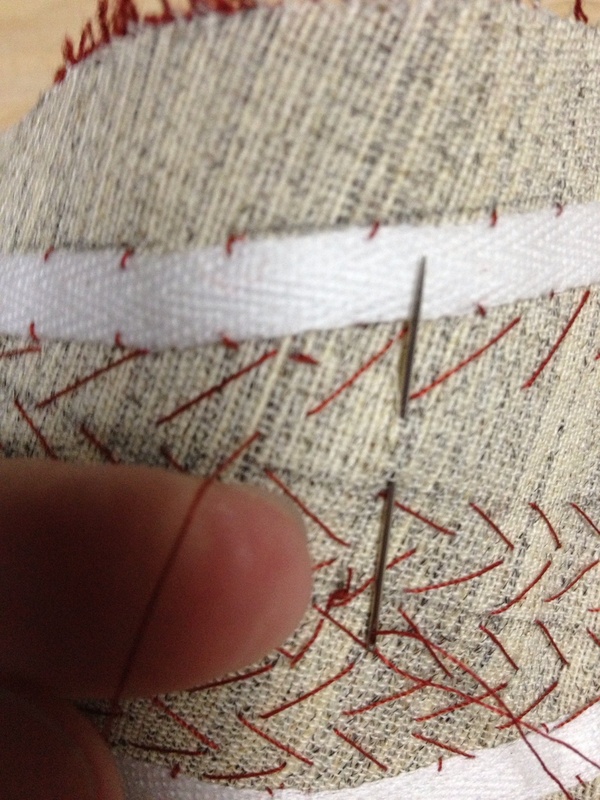 In Padstitchlandia, this much needle is punished by a month in stilettos. 6″. While waiting tables at some horrible place where kids eat free every night. I kid not…. Ok, but seriously, missa, if it’s that freaking persnickety, why tag it a beginner-level skill?!? 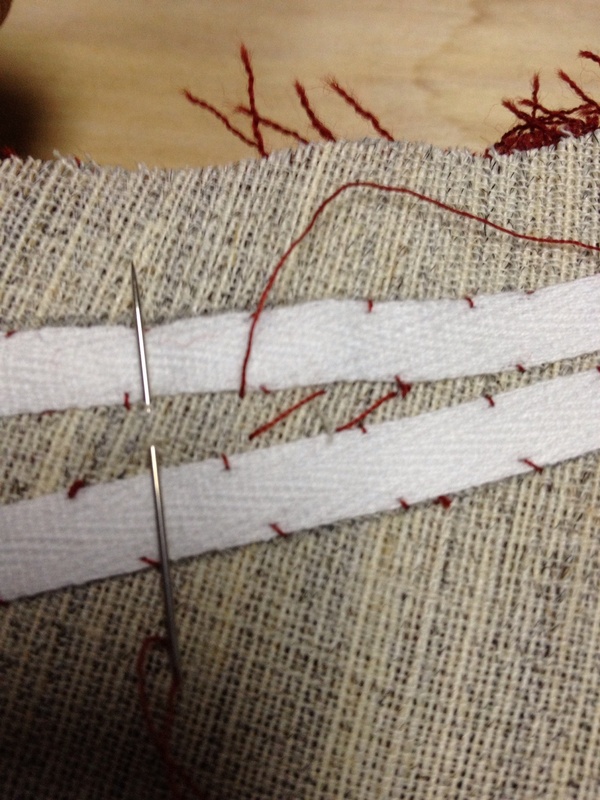 Many pad stitches in a row make a row of slashes…. 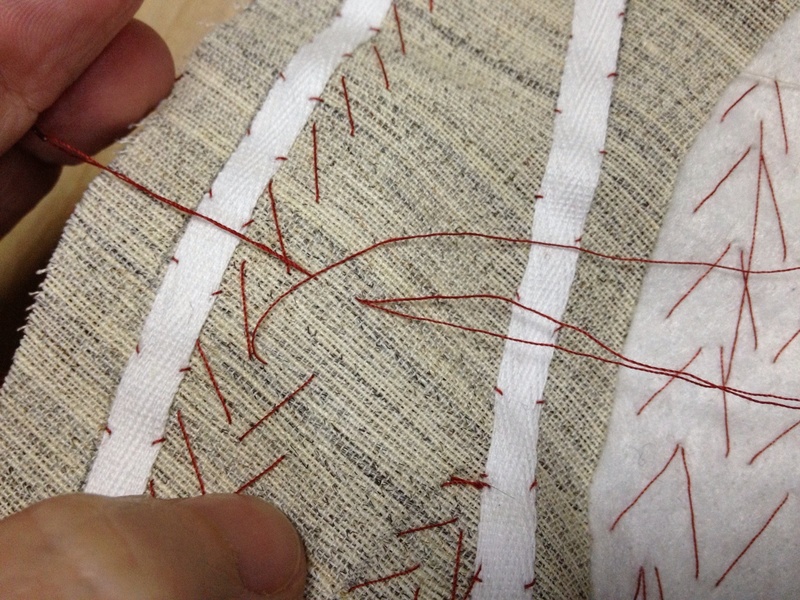 This is my working angle for pad stitching – it’s a very simple verticals stitch if you go at it this way. A lot of students I have seen seem to prefer the horizontal method from the former photos. Do what works for you. Actually, I think it’s a tension thing. Whatever the reason, I know it works, and you can’t bet it for control of a curve. Fusibles will not do this for you, my friends. You must pad stitch. 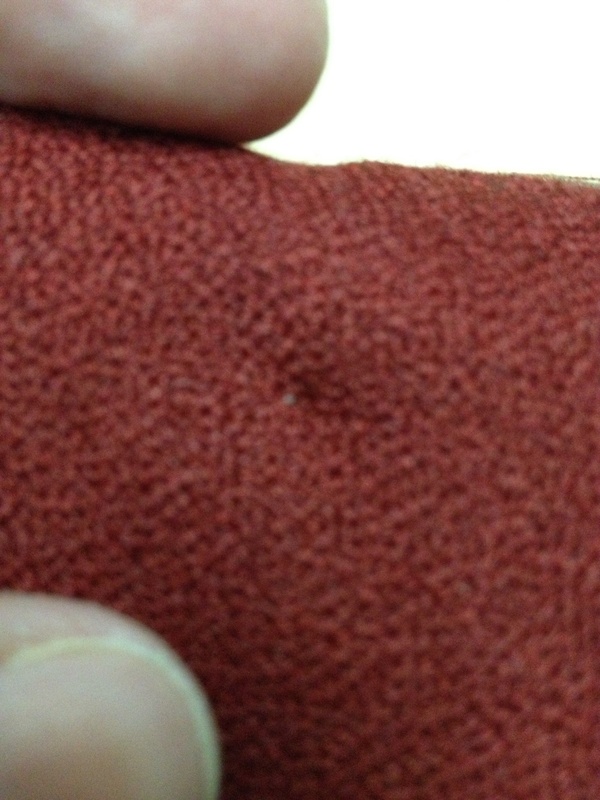 Crazy story – smaller pad stitches make a firmer finished garment. Larger ones go looser. It is not uncommon to see a combination of sizes controlling the fabric, as in this collar – smaller stitches in the collar stand guarantee it will stand firmly, while larger stitches around that allow the rest of the collar to curve gracefully. So, while this is a fairly basic skill, it is one with many nuances. I like skills like that – they continue to be a challenge for years to come, and remind you that there is still more to learn about the absolute basics. Why do all this? See how the collar on the right hand side of the picture is perkier and more willing to stand than the other?,It has been pad stitched, so the hair canvas and wool crepe are now one. The other side has not. It has both the hair canvas and wool crepe, but they are not working together so it droops. Thank you. Just beginning to try this out now. Glad to help! 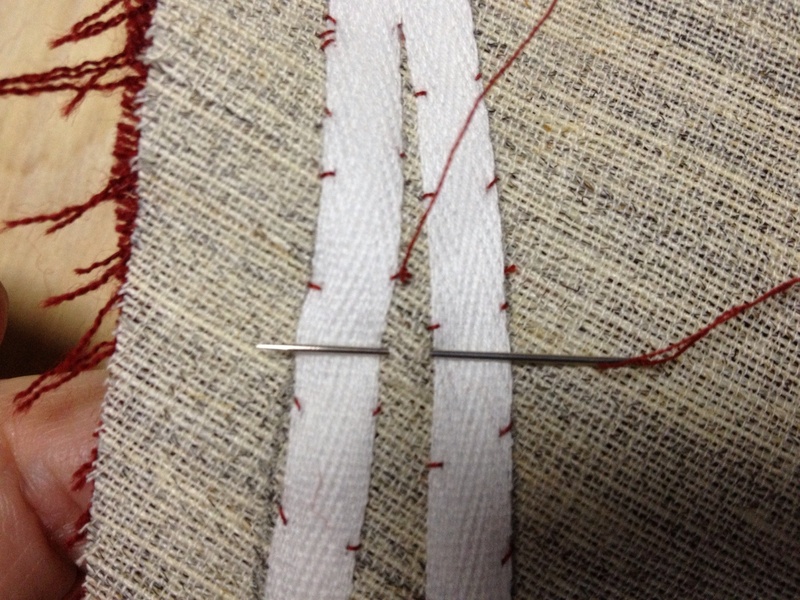 I find pad stitching to be quite meditative. I hope your experience is similar.